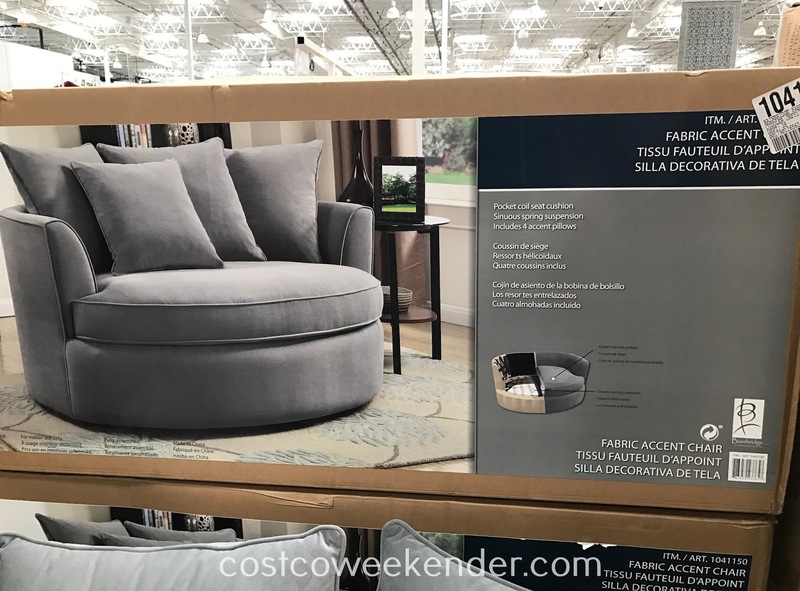 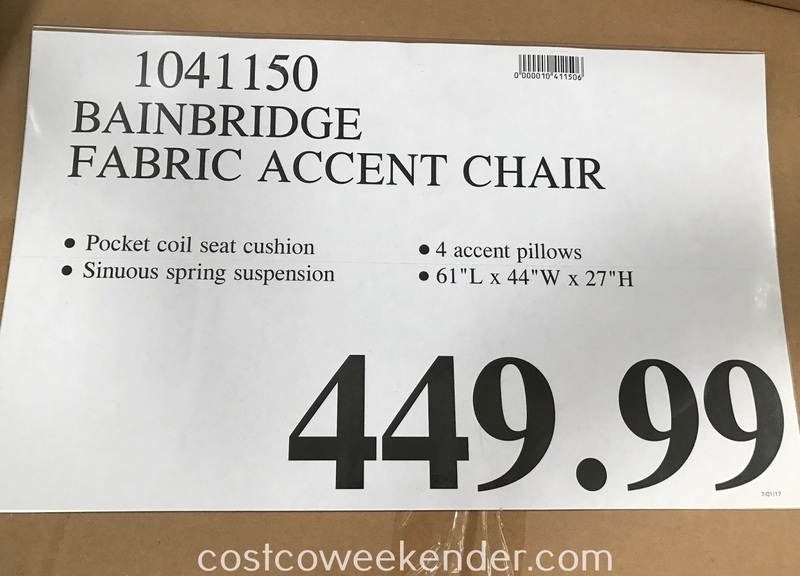 If you're looking for a piece of contemporary furniture for your home's living room or family room or just need new furniture, then look no further with the Bainbridge Fabric Accent Chair from Costco. The Bainbridge Fabric Accent Chair is chic and gives an updated look to your home. 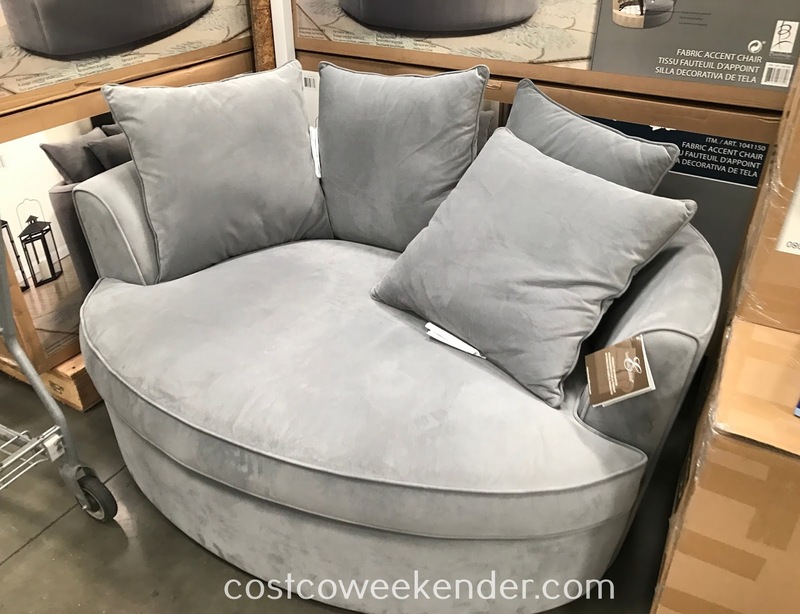 It sort of takes the place of what a love seat would bring since it can fit more than one adult. If your home seems rather obsolete and dated, then the Bainbridge Fabric Accent Chair will for sure give it a more modern yet stylish look and feel.